And when the big hand points to the 8 and the little hand points to the 6, tickle fight. Relaxing like this never goes out of style. Our drawers feature English and/or French dovetail sides and backs. IT’S YOUR PERSONAL SANCTUARY. It reflects who you are. That’s why your bedroom furniture should be attractive, enduring and designed to fit your style. Did you know you will spend almost 200,000 hours of your life in the bedroom? 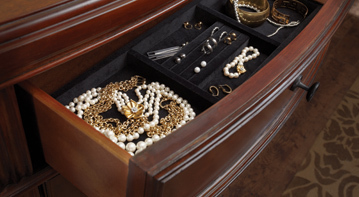 It’s no wonder your bed, dressers and accents reflect your personality. There should be nowhere else in the world where you feel more at peace and welcomed. After all, the bedroom is your home within the home. At Samson International, we believe in creating beautiful, long-lasting bedroom furniture. Starting with our consultative design process, and continuing through our manufacturing and facilities, we create quality crafted bedroom furniture for you and your children’s children to love and use for many years.